It’s been two weeks now since we had our THP Florida Golf Outing and Demo Day and to be honest I wish it was happening again this weekend. When we first put this shindig together we thought it would be a great way for friends to get together and for consumers to try out products they may not have known about, thought about, or had the opportunity to try before. We had an image of how this two day event would take place but we weren’t sure that our dream would truly become an reality. Well, we can honestly say it was everything we could have ever hoped for and then some. Our first surprise was during the organizing process when we reached out to so many companies in the golf industry and asked them to take a leap of faith in us and supply us with product for people to try but the catch was that they were not allow to have sales reps present. We were amazing at how many amazing companies step forward and said “Absolutely, we would love to.” I would like to take this moment to list all those incredible companies because without them this entire event could not have taken place. When our guests arrived at the golf course on day one I don’t think they had any idea how many items we had for them to try. Many described the scene as “Toy’s R Us for adults.” They were like kids in a candy store full of golf equipment and accessories. We set up two stations one on the driving range to test drivers, hybrids, irons, wedges, and fairway woods. We had a second station on the putting green for our golfers to try out all the amazing putters. A few companies such as Bettinardi Golf and SeeMore Putters supplied left handed putters for our lefty friends. 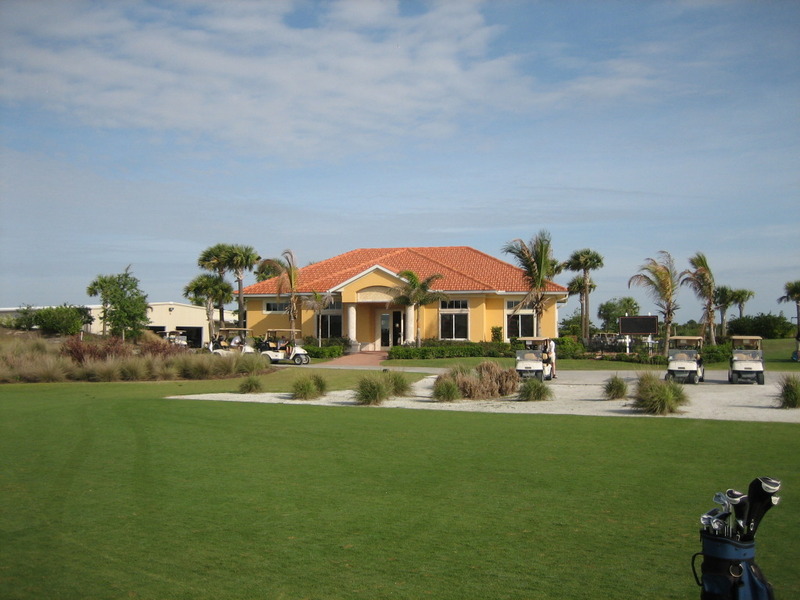 We spent three hours each day at the practice facilities of Sarasota National Golf Course and Pelican Pointe Golf & Country Club in Venice, FL testing out equipment, training aids, distance measurement devices, golf balls, and more. 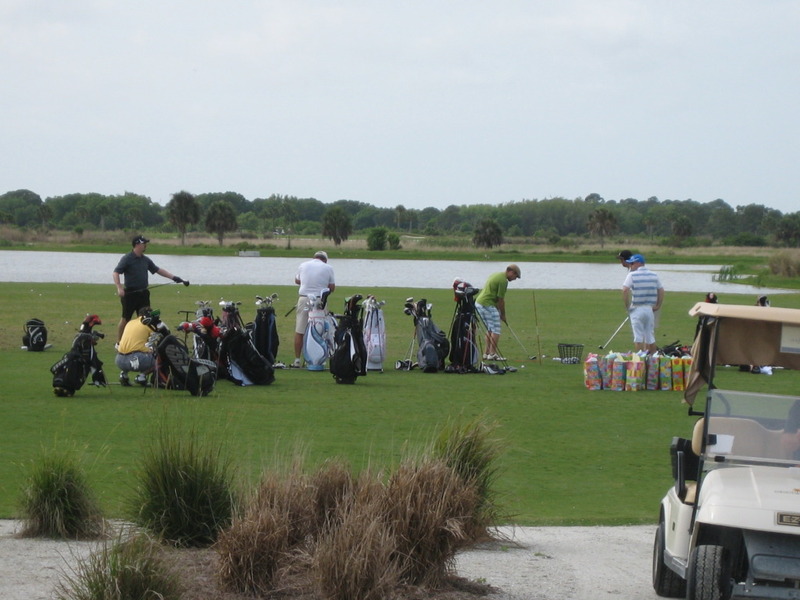 Each golfer commented on how enjoyable the experience was without feeling the pressure of sales reps. They all said they very much enjoy their local demo days but this relaxed, no pressure environment really put this experience over the top for them. 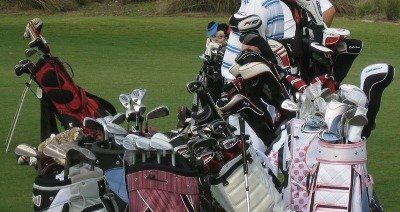 During the Demo session THP had goodie bags for all the golfers. We had amazing items from several companies that we put together in a fun gift bag for everyone. Each bag contained a Cleveland Classics Polo, a Pukka Hat, a Spotless Swing Towel, two sleeves of Knet Golf Balls, two sleeves of Chromax Golf Balls, and THP logo tees from Evolve Golf. I think the only thing we were missing for everyone was a golf glove. Everyone seemed to really enjoy their goodies and I noticed the Spotless Swing Towel hanging from the players bags and I saw the tees and balls go right into their golf bag. The Pukka Hats were placed on their heads and the Cleveland Classics shirts were either worn on day one or day two of the outing. We really cannot thank these companies enough for supplying such amazing items for this event. After hours at the practice facilities everyone paired up for their rounds. During the rounds players were able to take the equipment, distance measuring devices, golf balls, and accessories they were trying earlier and put them to use on the course. Everyone had a blast even with the rain showers. The feedback on all the equipment tests was just phenomenal and you can read what everyone said here. 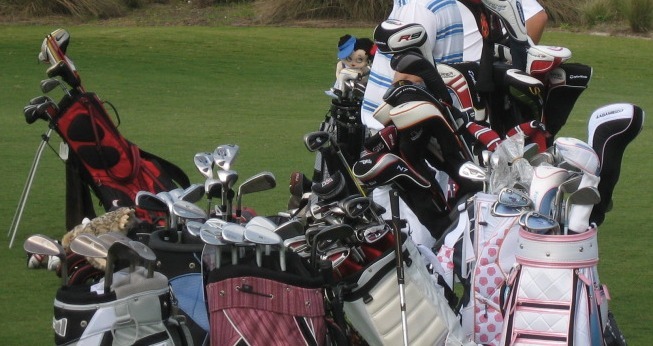 It is safe to say that many of the golfers now have or will have new equipment in their golf bags. This was truly an unforgettable experience and after this amazing weekend THP has decided that this must happen again. So we are currently working on putting together another outing for the Fall however we are going to spice things up a little. We want to be able to have more people come and share in this wonderful experience so we are working on some things to make that happen. We have also decided for the next event we need more contests, more games, more people so we can have even more fun. So stayed tuned to the THP Forum for an announcement coming soon on the fall outing. this truly was an experience of a lifetime. it’s the closest i’ll ever come to experiencing what it might be like on a driving range for a touring pro. thanks to all the companies that participated and trusted some “hackers” with their latest and greatest gear. thanks to JB and GG for being more than gracious hosts and for staying up past their bedtimes in order to spend some time with us. whether or not these companies know it, their willingness to participate in this outing helped forge friendships for life for me. Big thanks have to go to THP and all of the companies for putting this amazing weekend together. I know that I found my next three major golf purchases at the outing and I’m sure I’m not the only one. The demo was especially helpful since I didn’t have any convenient way to try out two of the three products. The companies that provided the gear for the goodie bags have found a new loyal customer as well. If you didn’t make the 1st outing you should do yourself a favor and make the next one. If I know THP, they will somehow find a way to make it even better. Unquestionably the best golf outing I have experienced. The equipment dontated by the companies was awesome and very much appreciated. We commented several times how much of a great relationship JB and GG have with each for them to eagerly participate. Thanks again to our hosts for arranging such a wonderful experince. The great hosts, great equipment and great relationships we formed made my bad golf irrelevent. That’s one way to gauge the success of an event. I can’t remember what I shot, but I remember everything else. Had a great time at the outing! Big thanks to THP, all the equipment OEM’s and the courses we played. Made some great friends and met a whole bunch of great people. Cant wait to do it again. By far one of the best experiences I’ve had since taking up the game 4 years ago. Thank you to RHP and all of the vendors who participated in this event. This event was the best advertising they could possibly get with all of the word of mouth and stories being told about the equipment everyone hit. The only thing better than all of the equipment being available to try was meeting people that you’ve already ‘met’ here at THP. Can’t wait for the Sequel! This was truly a fun weekend. First, a big high five to all the companies that provided items for the outing. Second, it was a pleasure to meet everyone who attended. You were all “normal” people! I don’t know if I was, but you all were! Finally, thanks to our hosts JB and GG who opened up their home to a bunch of strangers and also organized this entire shindig. I’m very glad I attended. This was such a wonderful experience. Thanks to THP and all the sponsors again for your support!